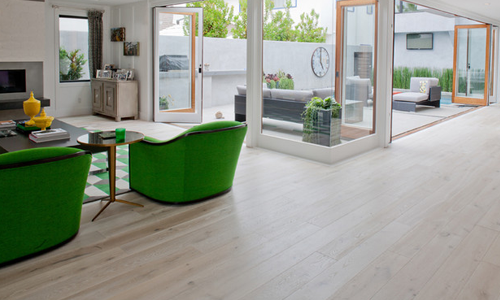 There’s nothing quite like wooden flooring for bringing instant character and warmth to a new home. But with different grades, finishes and species on offer, not to mention choosing between a solid or engineered floor, specifying the right product can be a difficult decision to make. However Hayton Hardwoods Ltd. will guide you through this process and supply the most comprehensive and cost effective solution possible. 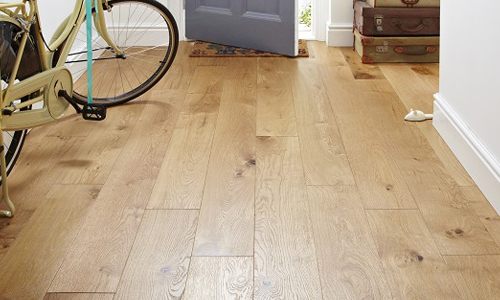 Hayton Hardwoods Ltd’s solid wooden floors are made to last and look beautiful through years of daily use. Well-designed not only from an aesthetic point-of-view, our flooring is constantly evaluated to produce the best flooring solution. This is the only way can we meet the varying demands of our clients and today’s building projects. The floor is the basic element in the room. It decides how you experience the room, how the light is reflected, how the interior design and the furniture harmonize. The identity of the room is based on the floor. European oak (Quercus Robur L.) is one of the widespread European hardwood species which is characterised by being hard and hard-wearing and at the same time having a clear and interesting grain structure. 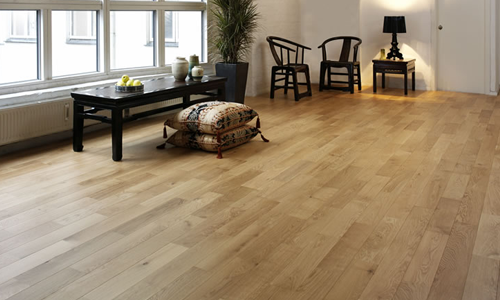 The warm and robust wood has the colour of ripe wheat and is extremely suitable for flooring. Over time, the natural ageing gives the wood a golden glow. A truly modern classic. European 150mm Oak White Solid Oak Wood Flooring is a white stained and brushed rustic oak floor with natural characteristics and a light looking finish. Ideal for fitting in living spaces such as lounges, dining rooms, bedrooms, studies and hallways. What is engineered wooden flooring? Engineered flooring consists of a top layer of solid wood — the veneer. This ranges in thickness depending on the quality of the flooring, but is typically between 3-7mm, although thicknesses of up to 15mm are available. Underneath the veneer are several more layers of thin wood, all glued together to form a plywood-like sandwich base. These layers run at 90° to one another for stability, making them less prone to movement, caused by humidity, than solid boards. The quality and cost of engineered flooring varies and it is often a case of you get what you pay for, with some of the cheaper versions being made up of a very thin top layer of solid wood. Despite what many buyers expect, engineered flooring is not necessarily less expensive than solid. Prices start from around £30/m² but can go beyond £90/m². The variety of wood you choose will also affect the price. More and more people are choosing to fit engineered wooden flooring as opposed to solid timber floors — and there are many reasons for this decision. Engineered flooring is available in an extremely wide range of timbers to suit any home, with various effects, such as ‘aged’ and ‘sun bleached’, available. They are also suitable for laying over many types of existing floor, such as concrete, unlike most solid boards. In addition, most engineered flooring now comes pre-finished, meaning no waxing, lacquering or oiling for you, and a floor that is ready to walk on as soon as it has been laid. This very much depends on what kind of wear the floor sees and how thick the top layer of solid wood is. Guarantees vary from ten to 30 years. The number of times a floor can be sanded and refinished also varies — the manufacturers’ recommendations should be taken on this one. Some may recommend sanding no more than three times for thicknesses of 15mm. Generally, a professional sanding will remove around 0.5mm of the surface layer. However, bear in mind that some beautiful hardwood floors won’t ever have been sanded and that dents and scratches can add to their character. With a heavy limed oak finish, these brushed engineered strips feature distinctive markings and light tones of real wood for authenticity. 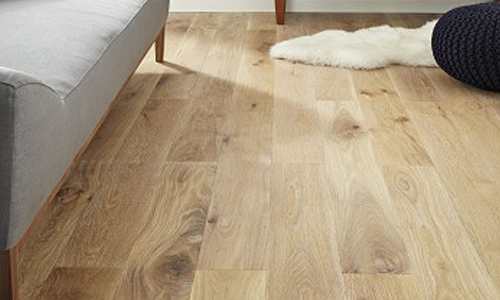 Limed Oak features an elegant stroke effect texture that can aesthetically replicate the finest brush marks. Light-tone woods feature a soft palette of pale, chalky and limed woods designed to complement a period or vintage inspired scheme and also create a contrasting impact in the modern home. Engineered flooring is great for most areas of the home, it looks and performs beautifully. This product has classic planks are a versatile choice, timeless, elegant and suitable for use with underfloor heating. This long engineered board is beautifully brushed and matt lacquered. It features natural tone variations for a luxurious look. Brushed Matt Lacquer’s longer planks create fluidity with minimal seams for a streamlined floor layout.